Socius was formed in the year 1994 by brothers Patrick and Erik. Up to the present-day time, there was a problem trying to find the right drummer. For this reason, they struggled to produce a demo which they were both happy with. 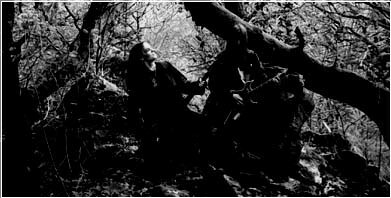 In 1997, the duet published the first three songs on a split demo with Augur. For these three songs, they used a drum machine. In the year 2000, Patrick sat behind the drums and recorded the drum parts. On that demo you can find new versions of the old songs. Taunus, the region in which the Socius brothers live, is well-known for its sagas, history and many monuments. Goldgruben is a mountain in the Taunus, on which many years before, the biggest Celt settlement of Hessen resided. In the texts, it is about the darkest moments of the last 6 years, that happened all in this region. 2001 Split CDR "Goldgruben / Custodia"
1997 MC "Sermo Facetus Tenebrae / Taunus"